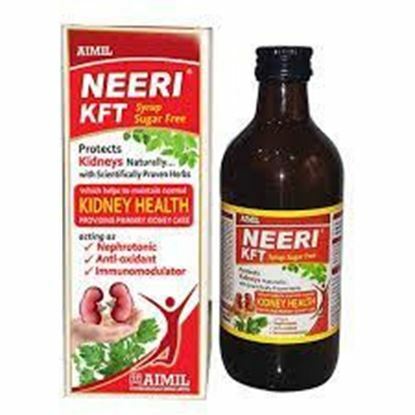 Information about Neeri Kft Sugar Free Syrup Neeri KFT Syrup is a perfect polyherbal regime, developed and formulated on the scientific concept, which exerts overall therapeutic activity with safety in various types of urinary disorders like urinary calculi (kidney stone), urinary tract infections and prostate associated disorders. These extracts are the enriched sources of several phyto-constituents like arbutin, quinolone derivatives, bioflavonoids, glucosides, tannins and several micronutrients. 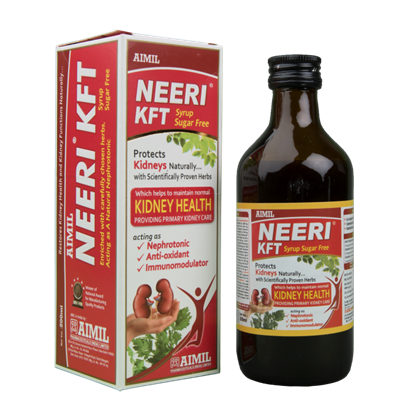 It is used in Urinary calculi / Stone, Urinary Tract infections, Cystitis, Burning Micturition and Prostate enlargement.